09 Oct 2015 / 18:18 H.
PETALING JAYA: Bank Negara Malaysia (BNM) says it had recommended the Attorney General to initiate criminal prosecution against 1Malaysia Development Bhd (1MDB) for breaches under the Exchange Control Act 1953 (ECA). In a surprise statement released today, BNM said their investigations found that permissions required under the ECA for 1MDB's investments abroad were obtained based on inaccurate or without complete disclosure of material information relevant to the bank's assessment of 1MDB's applications. BNM governor Tan Sri Zeti Akhtar Aziz had earlier said that it would only be able to reveal details of its investigations if questioned by the Public Accounts Committee. Under the Federal Constitution, the decision to initiate criminal prosecution lies solely with the Attorney General, and yesterday the Attorney General said it had decided not to start such proceedings. 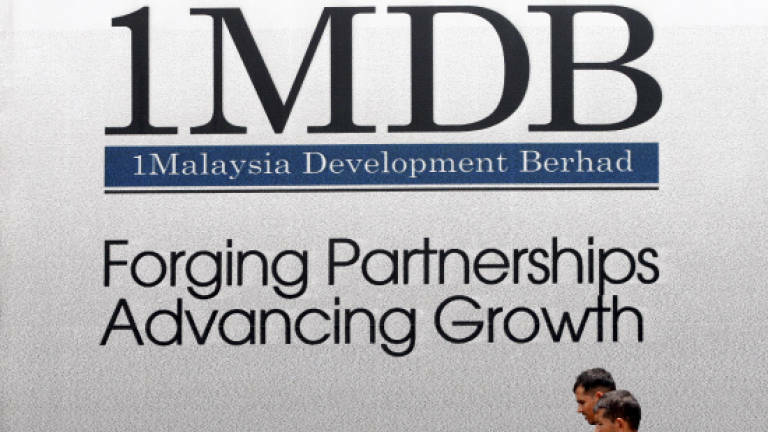 As a result of the central bank's investigations, it said yesterday that it has revoked three permissions granted to 1MDB under the ECA for investments abroad totalling US$1.83 billion (RM7.55 million) and also issued a direction under the Financial Services Act 2013 to 1MDB to repatriate the amount of US$1.83 billion to Malaysia and submit a plan to the bank for this purpose. "As an investigative authority, the bank is duty bound to conduct its investigations with the highest professional care and diligence. The bank at all times expects full and accurate disclosure of information by applicants in considering any application under the ECA. "On its part, the bank concluded that permissions required under the ECA for 1MDB’s investments abroad were obtained based on inaccurate or without complete disclosure of material information relevant to the bank’s assessment of 1MDB’s applications," BNM said. BNM said it will continue to extend its full cooperation to ongoing investigations by the Royal Malaysia Police (PDRM) and the Malaysia Anti-Corruption Commission (MACC).